Lots to look forward to and enjoy. 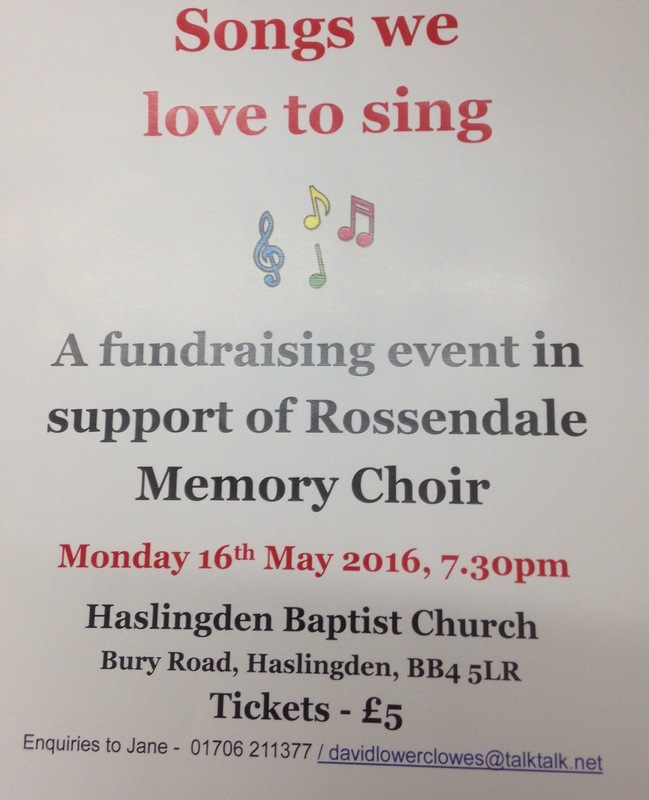 Fundraising event for Rossendale Memory Choir. 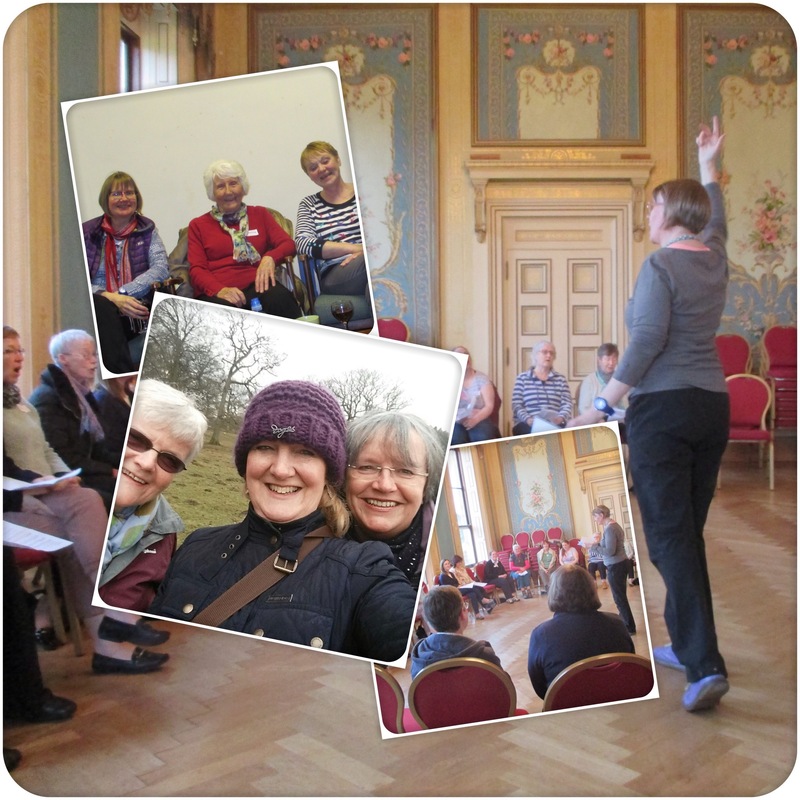 On 1st April, 9 choir members plus a couple of friends travelled to Minsteracres Retreat Centre for a weekend of singing led by our very own Janet and what a wonderful weekend we were in for. We all arrived in time for our evening meal and then we had our first session of singing and were soon getting to know each other. There were 24 of us altogether (23 ladies and David!) We all seemed ready for an early night after the travelling and the singing session. We all met up again for breakfast on Saturday and then we had a morning singing session from 10.00 till 12.30. with a break for refreshments. (There were a lot of refreshments during the weekend!) By this time we were all singing our hearts out with the help of Janet and her usual mixture of enthusiasm and relaxation techniques. We had a couple of hours free after lunch so quite a few of us went out, some walked round the grounds and others stayed in and relaxed (some in a semi-comatose state on the huge settees in front of the log fire). Three of us were lucky enough to be taken on a tour of the area by a lovely lady who lived locally which we enjoyed despite the weather. We all met up again for a singing session from 4.30 to 6.00 and then we had our evening meal at 6.30 followed by Taize chants in the chapel. The chapel looked beautiful as all the lights had been dimmed and candles had been lit in front of the altar. After this the bar opened. I have never seen a bar like it. It just looked like a big cube until it was opened up but it had everything needed. We were all together in the lounge sitting round the wood burning stove and of course we had to break into song!! NOT ging gang gooley thank goodness, but a song about welcoming strangers in front of the fire.. Very appropriate. Our last singing session was on Sunday Morning after a rather substantial breakfast with a break for elevenses of course. Before we left we had a full Sunday lunch. The weekend could have been called ‘learning to eat for England’!! It was a truly wonderful couple of days and we can’t wait for a repeat next year. We would just like to go at a warmer time so we can enjoy the grounds and surrounding area in sunshine. .
Janet was absolutely brilliant getting us all to sound as good as we did. It certainly made us appreciate how lucky we are to have her as our choir leader. We all departed with ‘How Sweet the Sound’ buzzing around in our heads. Singing for the Soul at Minsteracres, Durham. Thank you to a everyone for an unforgettable weekend, especially Janet for the singing and the staff and volunteers of the Minsteracres retreat centre for the warm welcome and delicious food. Thank you to Diane, Jackie and Minsteracres for the photos. More about Minsteracres Retreat Centre here.